Whereas Justin Bieber saw the Nintendo 3DS as a worthy festive gift, it would appear that the Doctor prefers the realms of motion control to unwind. Those that tuned in to watch the fourth episode of Doctor Who’s seventh series, The Power of Three, may have already spotted the Time Lord taking a dabble at Wii. 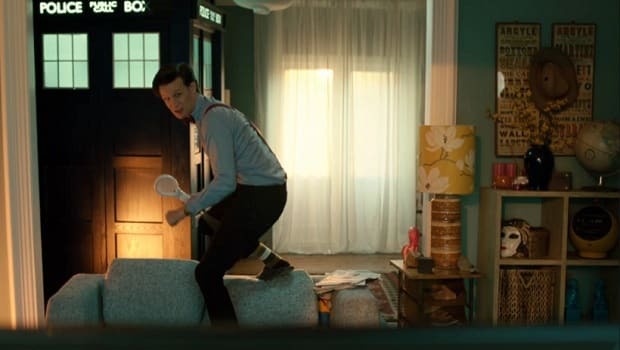 Having moved in with the Ponds whilst they studied sinister black cubes that fell across the planet, the Doctor revelled in the opportunity to play a tennis game, joyously celebrating when he bested his AI opponent. He wasn’t wearing the wrist strap though, but we’re sure Nintendo will forgive him for that.